Bhopal is a potpourri of experiences, no matter the kind of traveller you are. Bhopal is a city that successfully blends old world charm with modern day development. So naturally, there’s no dearth of things to do here. Whether you’re a culture vulture, a nature lover, a wildlife enthusiast or a new age traveller – here are the top things to experience in the City of Lakes. The best way to explore Bhopal is to walk through its best known and oldest alleys. The Chowk area, an old market square of Bhopal, is known for preserving the charm of the past. Remember to stop and admire the architecture of Imam Square, Shaukat Mahal and Sardar Manzil on your city walk. 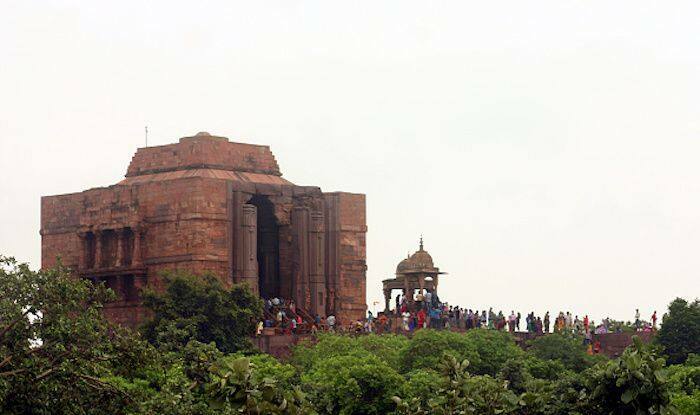 An interesting place to visit is the Bhojpur Temple – an incomplete temple dating back to the 11th-century. The temple is dedicated to Lord Shiva, and is also known as Somnath of the East. The carvings on it are intricate and it is located on the banks of river Betwa. Though Bhopal is a modern day city, it is nicely balanced out by the abundance of natural beauty in and around the city. You must visit the iconic Upper and Lower Lakes, divided by an overbridge. There are walkways offering great views around and a government run boat club with facilities for sailing, paddle boats and motor boat rides. Another natural attraction is the Bhimbetka Hill, a UNESCO World Heritage Site. It’s located 45km from Bhopal and is known for the cluster of 14 rock shelters which house some of the best prehistoric rock art in the world. This may come as a surprise, but Bhopal is a fine activity hub for those who love being in the wilderness. Located 10km away from the city, Van Vihar National Park, is home to some of India’s well known flora and fauna. Perched on Shymala Hills, it’s a natural-looking enclosure for tiger, lion, sloth bear, striped hyena, crocodiles and other carnivorous animals. Van Vihar National Park was created with the motive of protecting animals from various parts of the state. Today, however, it’s ideal to come and observe animals from a close quarter.